While Millennials are turning to ‘side gigs’ to make ends meet, Gen Z is focused on working for themselves and only themselves. 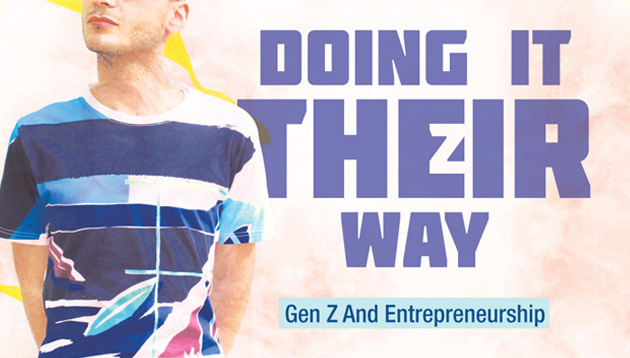 According to an infographic by OnlineSchoolsCentre.com, almost half of Gen Zers plan to become entrepreneurs. When it comes to what this generation considers important in a job, 72% prioritise good pay, 64% want inspiring work, and only 62% considered good benefits important. Gen Z were also found to value social connections over work/life balance, as well as good day-to-day experiences over great benefits. This generation has also been found to be more open towards alternative paths for learning such as online courses and resources. The app offers users prizes for taking a health challenge to complete short and informative quizzes on nutrition and wellness. ..
Pizza Hut and adidas might be hiring robots to cut costs, but they're also saving staff from being stuck in 'mundane' jobs, say ex..